A member of my Facebook Infidelity Support Group shared a beautiful post yesterday, in which she has challenged group members to ask themselves some tough, yet important questions. 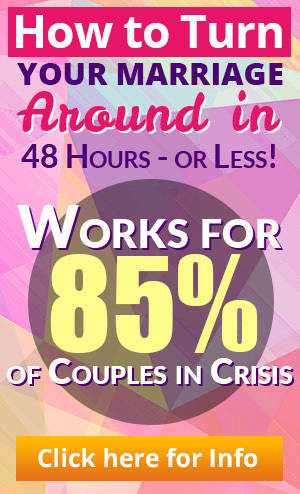 This group member is someone who has come a very long way since the discovery of her husband’s infidelity. She has endured the pain and heartache associated with extramarital affairs, and she has come out a much stronger and more insightful person (as many do). She has given me permission to share her post. Please read the following thoughtful words from someone who has been there. Someone who has taken a devastating situation and used it to grow and learn about herself. I’m thankful to my group member for her exceptional post, and her contribution to my group and its members. “I come here to read posts everyday. I pray a lot for every person affected. I went through this nearly 8 years ago. My marriage of 34 years ended this past June. There are many people here in very different places. I wish I had a “One Size Fits All” type of post to share. I don’t. All I can try to do is to get you to think deeply about the situation you find yourself in and ask a few questions. YOU have the answers … They are buried beneath all that hurt, anger and grief. I challenge you to get in a quiet place and ask yourself a few hard and tough questions that will affect you (and your children) as you move forward. 2. What will happen if I stay? What will happen if I leave? 3. Have you identified and owned your part? 4. What has changed within you? 5. What do YOU want YOUR future to look like? 6. What do you do about “Self Care?” Are you eating good, nutritious foods and exercising? How are you sleeping at night? 7. How is your Self Image? (The role of victim should NOT be your role) Our self image has taken a big hit when infidelity occurs. What other roles do you play each day that you are great at doing? 8. Where does your support come from? This group is a great start. Keep in mind that “Hurt People, hurt people.” There is a lot of hurt flowing here. There is also a lot of healing here along with great advice and encouragement. I had come to realize that with our empty nest, my identity (codependency) was in being “his wife” – I am certain that was suffocating from his point of view. I did a lot of inner work, got counseling, went back to school, and I became a life coach. I have started traveling … I just got back from horseback riding on the beach. I surround myself with healthy people now. I have a great relationship with my kids and I have found my inner peace. I take long walks and I talk to God everyday. I am learning about a thing called “Surrender” – It has not been easy, but I am making progress as I go along. Although we are divorced, I treat my ex with love and respect when I see him. It took me some time to get here too. I hope nobody gets offended by this post. I am not trying to tell anyone how to feel or what to do. Each situation is as different as the unique set of people here. I just wanted to simply ask that you make some time for YOU. To put the hurt, anger and sadness aside for about an hour and really think about your future. In my case, my ex had numerous affairs throughout our marriage. My heart got harder with each and every one. I finally got to that place called forgiveness and it changed “ME” – not him. His affair woke me up to the woman I have always wanted to become. I should thank him one day! Sometimes God breaks our heart for what is breaking His. I encourage you to take take her advice and set aside an hour to ask yourself these questions. Reflect upon where you are now and where you want to be. 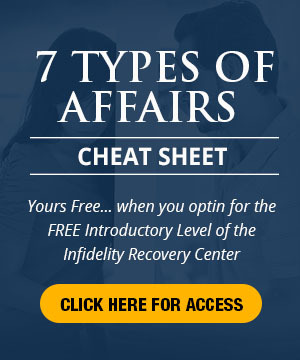 This entry was posted in Infidelity Coaching, Infidelity Marriage, Infidelity Pain, Real Life Infidelity Stories, Self Care, Surviving Infidelity and tagged infidelity in marriage, infidelity story, self care, Surviving Infidelity. Bookmark the permalink.